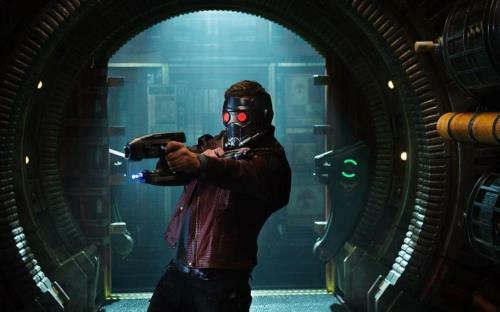 Guardians of the Galaxy is a universe worth of with fun. If you were one of the many many many people who helped the movie earn more than $330 million at the box office, you already know that. You already know about the great 1970s soundtrack, the laugh out loud jokes and the heart that permeates the story from the very first scene. The best sci-fi films build up characters that make us forget we’re watching made-up alien beings in a fictional world. The Guardians of the Galaxy script achieves that beautifully, and the actors all seem only too happy to be playing their parts. So, what about the Blu-ray? It’s definitely worthy of a buy. 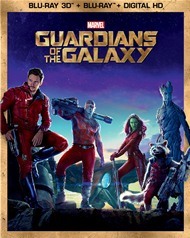 The film is filled with visual effects from glowing orbs, to explosions and colorful cities, and all look fantastic in Blu-ray’s high-definition. The 7.1 sound rockets out that brilliant soundtrack, as well as the swoosh of spaceships and those huge explosions. And the special features are concise and entertaining. The featurettes are better than most, going into director James Gunn’s vision for the film, like the contrasting of beautiful structures and sparse landscapes so there’s always something interesting to see. Others delve into the creation of the computer-generated characters, Rocket (voiced by Bradley Cooper, American Hustle) and the lovable Groot (voiced by Vin Diesel, Fast & Furious 6). As you might expect, Chris Pratt (Delivery Man) joked around off camera, and we get to see some, plus Zoe Saldana (Star Trek Into Darkness) and Dave Bautista (Riddick) talk about the hours they spent in the makeup chair, or in Bautista’s case, standing for hours to have his tattoos put in place. The disc also has a fun gag reel, some deleted scenes and an audio commentary. Definitely one for the home collection.